Jason Reynolds is a licensed general contractor, specializing in asphalt shingle removal and replacement. 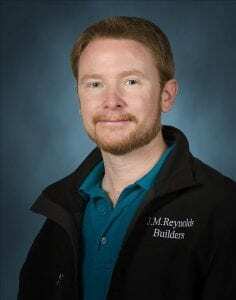 With over 20 years of experience in the construction industry working as a contractor, Jason brings his experience in roofing to the residents of Concord. 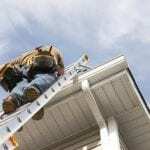 It is his main goal to always be a trusted local roofer who has a reputation of great customer service and quality craftsmanship. We are committed to using only the best materials and to offering quality roofing services for homeowners in Concord. At JM Reynolds Builders, LLC, we specialize in the removal and replacement of asphalt shingles, as well as providing gutter services for homeowners in Concord, North Carolina and the surrounding area. Due to this specialization within the roofing industry, we are able to provide top-quality services, installing only the best shingles and gutters at affordable rates. With our well-trained team of workers who take pride in their work, you can expect only the best from us at JM Reynolds Builders, LLC. Paying close attention to detail, our roofers will replace and install your shingles to ensure your roof protects your assets. 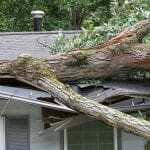 We’ll come to your home, inspect your roof and inform you of any needed replacements. We believe it is important to consider the reputation of the company replacing your roof. JM Reynolds Builders, LLC is an Owens Corning Preferred Contractor, which allows us to offer a complimentary upgrade to architectural shingles. We enjoy sharing referrals as members of BNI (Business Networking International), and we are also rated A+ with the Better Business Bureau, having never received a poor review. Contact us today to schedule your free estimate and to learn more about how we can assist you with all your roofing needs.